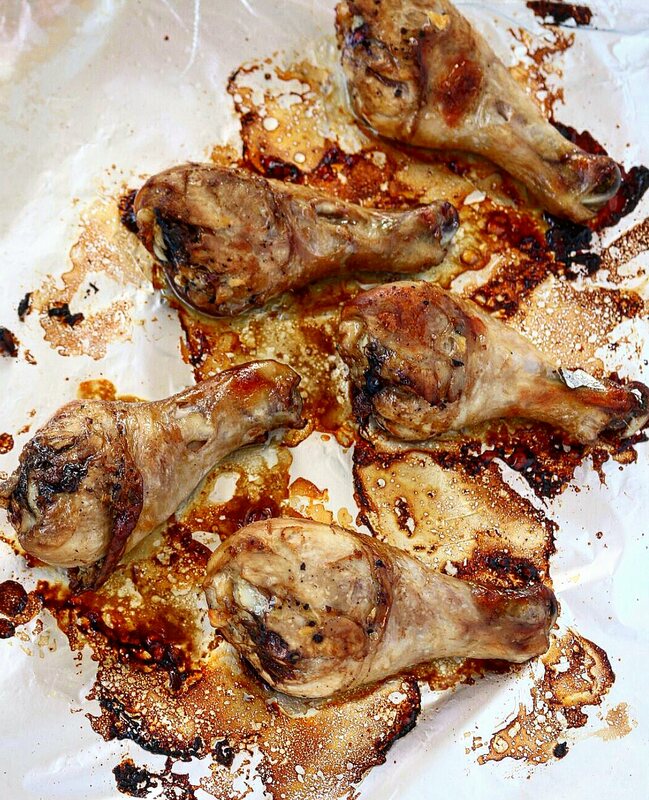 Hot sweet&sticky goodness are my hoisin and Honey drumsticks.chicken will always be my favorite source of protein and they are many ways of preparing your bird.Chicken prepared the same old way over and over again is boring as it is one which can easily get monotonous if routine isn’t spiked up from time to time.With all the stresses in life,food is one thing we look forward to,and making what we eat exciting and fun is key to finding happiness. 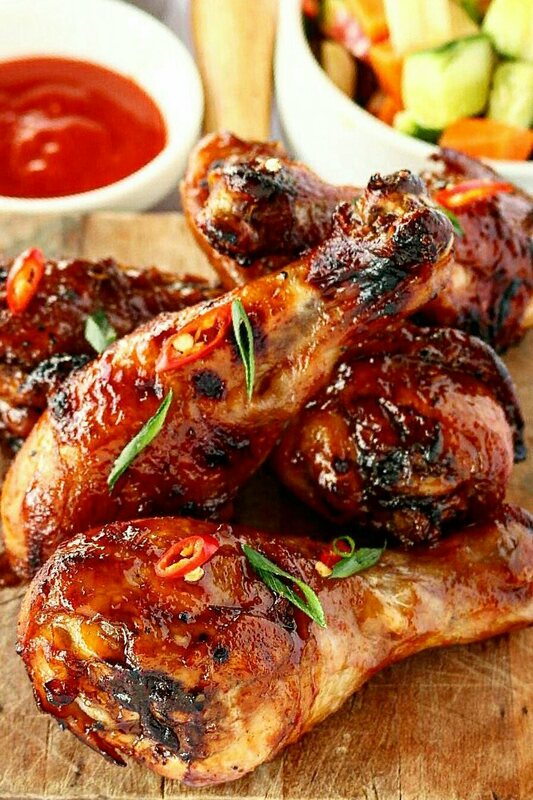 Hoisin is the Asian holy grail to barbecue sauce,sweet salty and sticky,it goes well with all things sea food and meats,hoisin pork ribs are amazeballs out of this World delicious,I have to make me some of them soon. 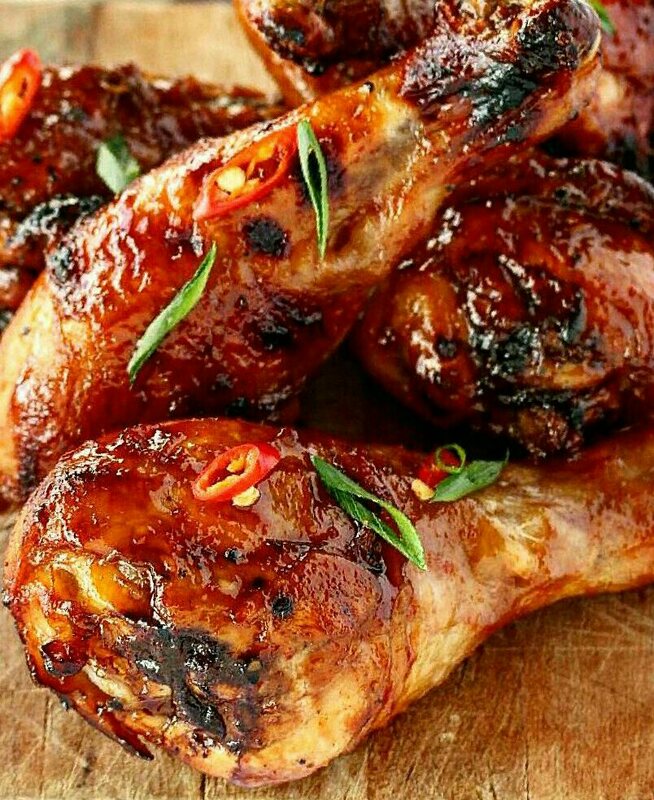 My hoisin honey drumsticks are deliciously,easy to bring together.The chicken is marinated in a simple ginger garlic and soy marinade,baked in the oven then coated in a sticky hot and sweet hoisin and honey sauce. 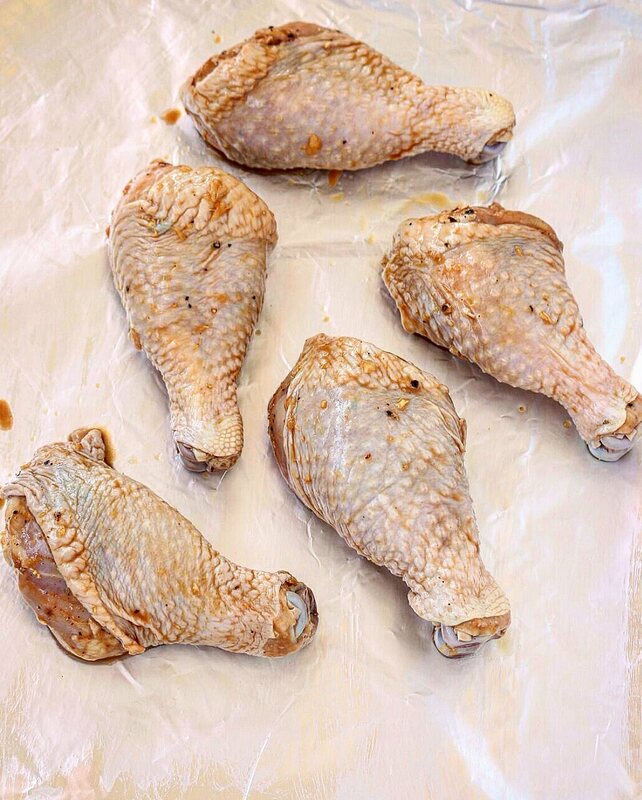 This makes for a delicious dinner recipe and will go well served alongside rice,roasted potatoes or vegetables.Every bite into them takes you to straight to Asia and back,this are perfect when hosting as big batches can be marinated overnight ready for the next day. 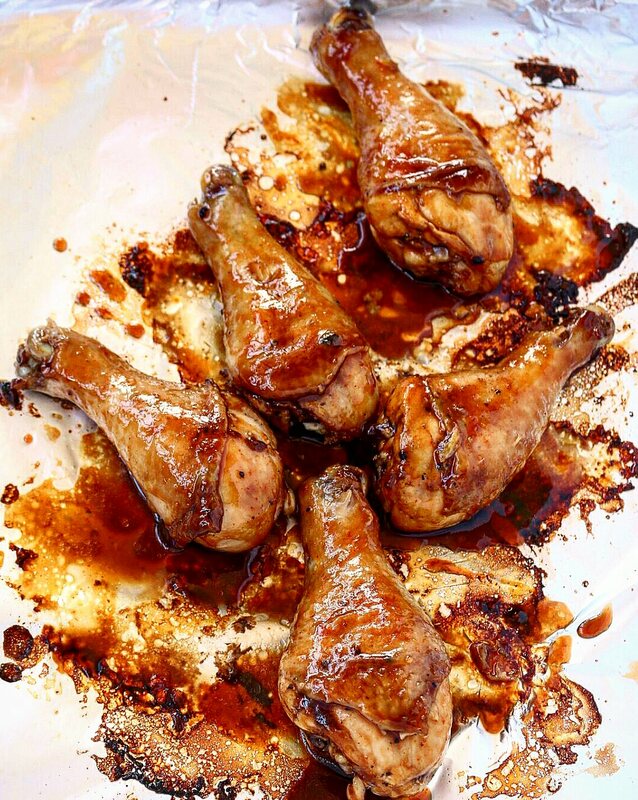 The heat from the sriracha sauce balances of with the sweet of the honey as the hoisin and soy combination takes you to umami heaven,I used my home oven for this recipe and I loved how my house was filled with wonderful aromas as the chicken was baking. 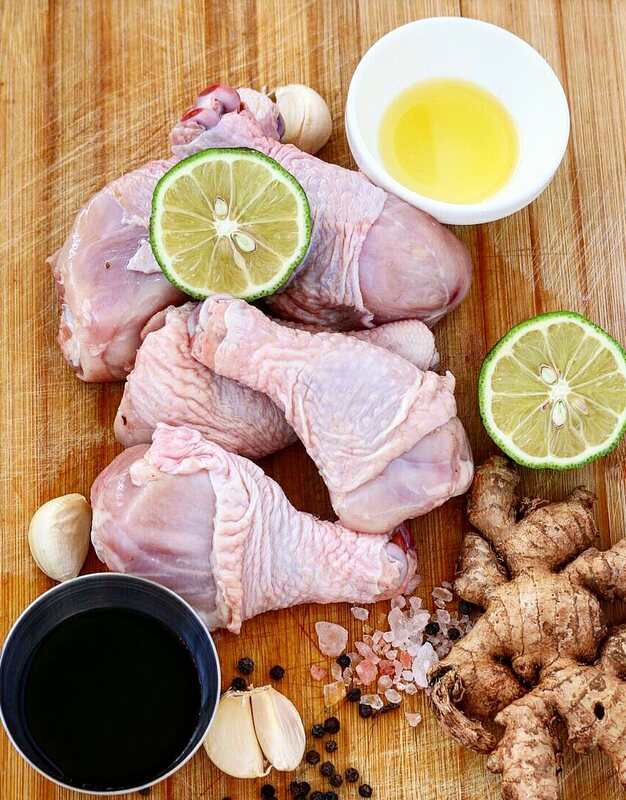 Ginger and garlic were meant to be together and marinating your chicken in this two will always bring out the aromas and flavours masking the chickeny taste that I don’t like. 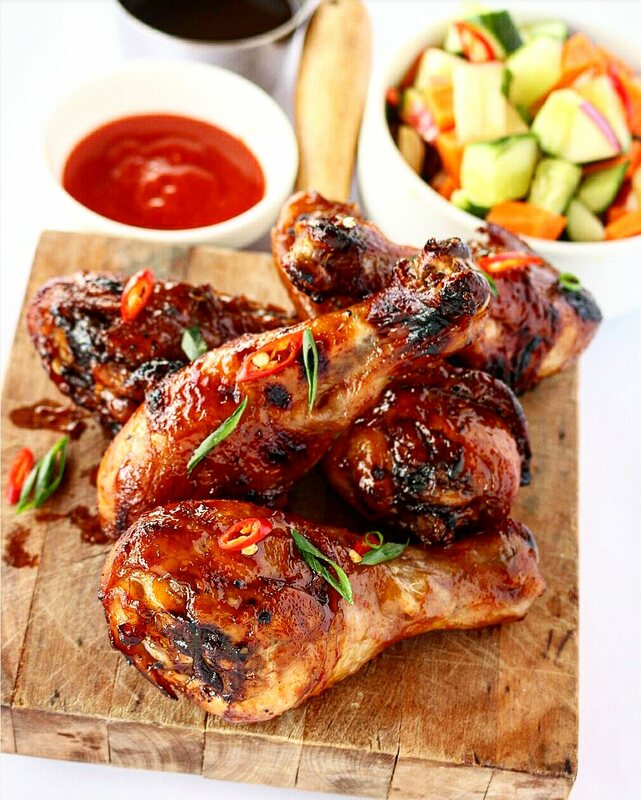 I went with drumsticks for this recipe as they are juicy moist and tender,breasts do tend to dry out when baked,chicken wings also do go well with this recipe. 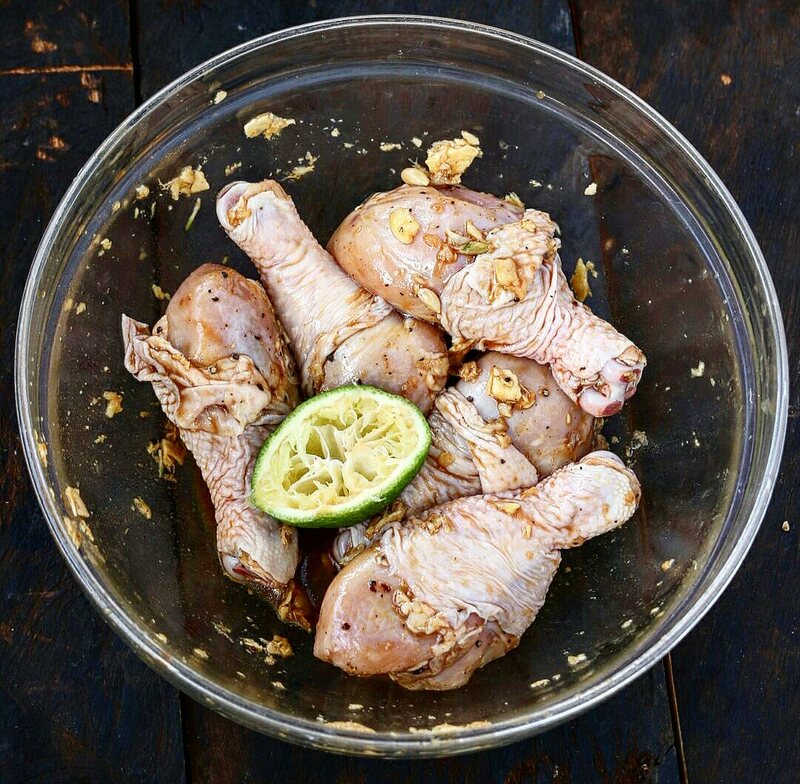 Marinate this for at least 30 minutes or overnight for maximum flavour. 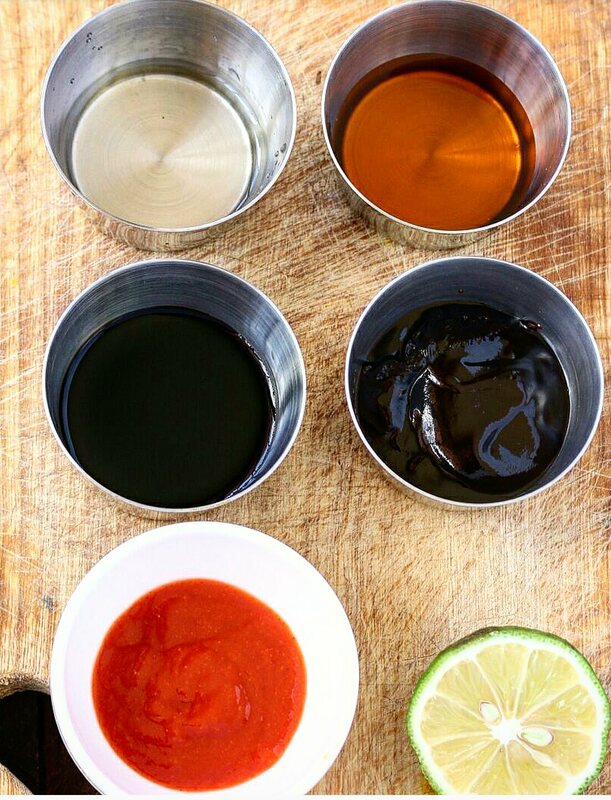 As the chicken is marinating,mix in all your honey hoisin glaze ingredients and set aside. Set this inside your preheated oven at 200℃ and bake for 30 minutes turning halfway.